We were delighted to take part in the Spanish Commercial Office's Spain Gourmet 2018 event where we met loads of great producers and people of the Spanish restaurant scene too. 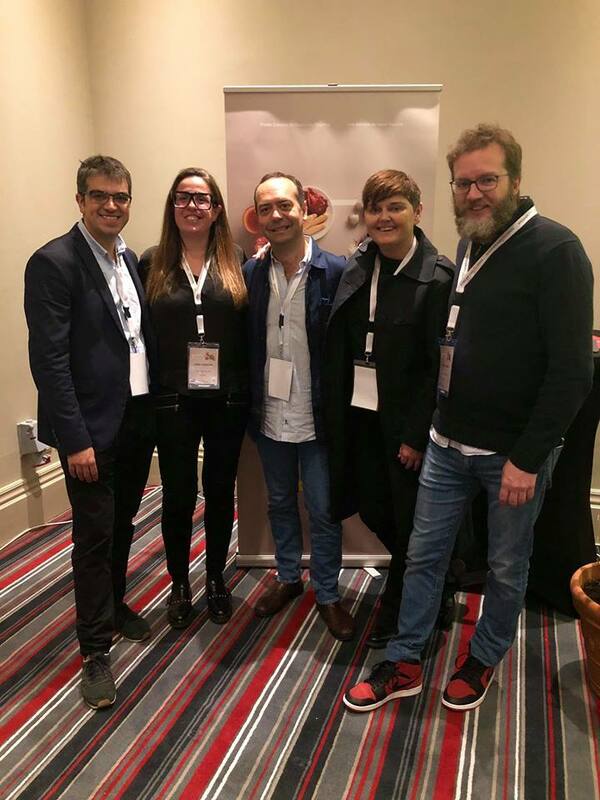 Pictured left to right, Ferran Centenelles (El Bulli Foundation); Anna Cabrera (Las Tapas De Lola); Jose Pizarro (Jose Pizarro London); Vanessa Murphy (Las Tapas De Lola); Rafa Peña (Gresca, Barcelona). We had such fun meeting with the boys at the Spain Gourmet 2018 event held in the Gresham Hotel. Anna sat on a panel with the boys discussing all things relating to Spanish food & produce. There was also a great mix of producers on the day too. But most impressive was the lesson on olive oil from Alfonso (pictured below). We couldn't let the boys go home though without a taste of Ireland's finest! A pint of Guinness!